At Kingsthorne we believe that positive behaviour is the key to learning. Children who have a positive attitude, make positive contributions in lessons, concentrate, persevere, have good relationships with others and are successful in their learning. We encourage and reward good behaviour through praise, stickers, Headteacher’s awards, Star of the Week certificates and a range of badges. Children receive merit awards for the number of stickers they receive ranging from 25 for a bronze award certificate to 200 for a diamond bar badge. Nathan is wearing his bronze, silver and gold star badges as well as an award for 100% attendance and his role model badge. 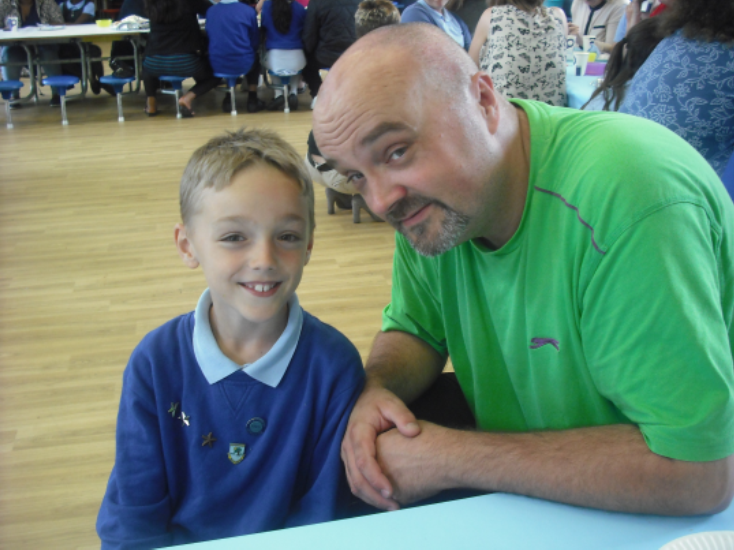 Children who receive ten Headteacher’s awards are invited with family members to tea and cakes with the Head, Deputy Head and governors at the end of the year. Children who consistently display high standards of behaviour are nominated by staff to become a Role Model. New Role Models are awarded with their badges each half term in a special assembly to which family members are invited. “The school has a “warm ethos” where everyone is equal, differences are celebrated and children take pride in the school”. Birmingham Standing Advisory Council on Religious Education, April 2016. We have a system of sanctions for negative behaviour. Please see the Behaviour and Pastoral Policy for more details, this can be found under the section for Policies & Procedures on this website.